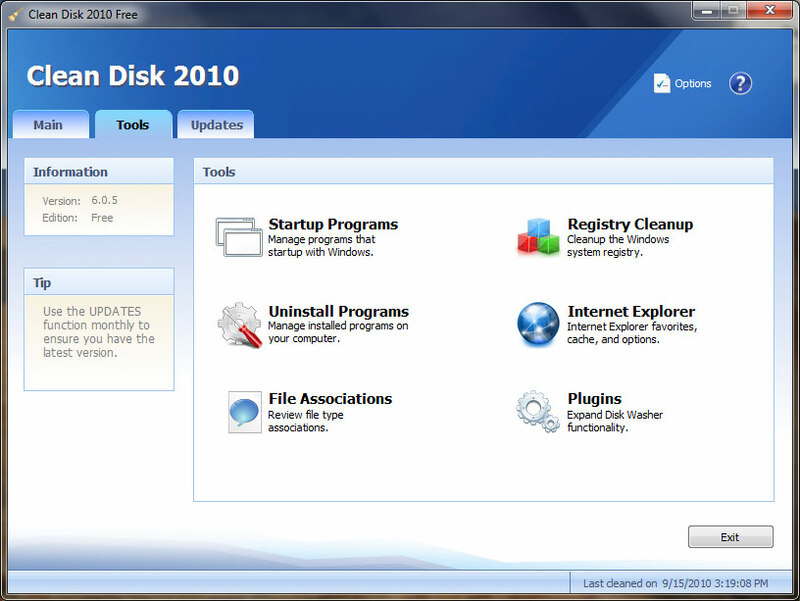 Clean Disk 2010 is available in Free and Pro versions. The free version is for personal use. The Pro version includes more features and is available for the new low price of US$14.99. What is Clean Disk 2010? Clean Disk 2010 is a system optimization and privacy tool. Will help you maintain your system functioning at its peak performance by removing unnecessary files from your computer, such as installation programs left-over, resolving DLLs problems, resolving system registry errors, and any other things that can make your system slower and unstable. Improve your system stability and performance by regularly using Clean Disk 2010. Clean Disk 2010 will help you find and fix orphaned shared DLLs, invalid file/path references, orphaned help file references, invalid application references, startup programs, invalid un-install file references, and many other things that can cause problems with Windows. Clean Disk 2010 optimizes your system registry to increase PC speed. After running Clean Disk 2010, your overall PC will have a boost in performance that you will notice. Clean Disk 2010 fixes corrupt registry entries ensuring that you will no longer suffer random PC crashes and freezes. Every time you use your computer, temporary files are created. When you install program, the setup applications leave unnecessary files on your system. Many other type of files are created on your system that are not needed and are taking up valuable disk space. Clean Disk 2010 will help you gain back your lost disk space by finding and removing these type of files. Everything that you do on the computer gets recorded. Everything gets logged. When you open files, open pictures, browse the internet, download programs...all that can be found. Clean Disk 2010 will help you clear your tracks by deleting your internet tracks, deleting history files of Windows and other popular programs. Clean Disk 2010 supports expandability by making use of plug-ins. Everything that you need to create plug-ins is included with the program. With plug-ins, the functionality of the program is unlimited. 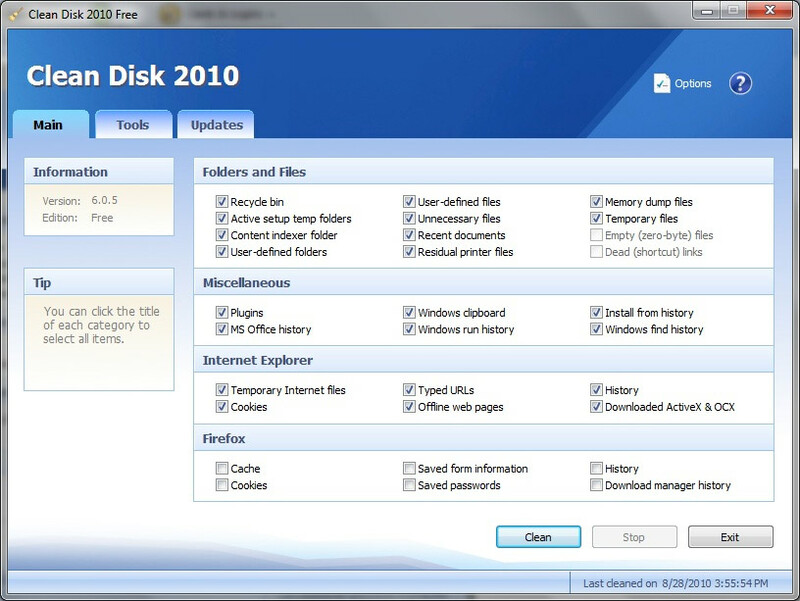 If you are skeptical about what Clean Disk 2010 does, you can always turn on the backup option and Clean Disk 2010 will make a copy of all deleted files to a ZIP archive. Windows XP, Windows Vista, and Windows 7 Compatible. © 2011 AE Software Technologies. All Rights Reserved.